Played college basketball at Arkansas Fort-Smith (2004-06) and at University of Arkansas (2006-08). 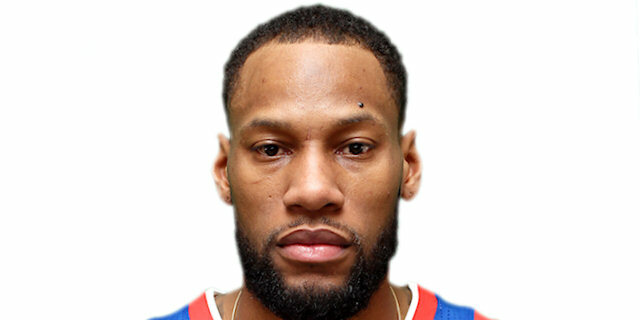 Signed for the 2008-09 season by Denver Nuggets, during the season, also played with Colorado 14ers, NBDL. Signed for the 2009-10 season by Toronto Raptors. Moved to Lithuania for the 2011-12 championship, signed by BC Zalgiris Kaunas. Signed for the 2015-16 season by Phoenix Suns. In March'16 signed by Philadelphia 76ers. Moved to China for the 2017-18 season, signed by Zhejiang Golden Bulls. In February'18 moved to Turkey, signed by Anadolu Efes Istanbul. Named the 2012-13 EuroLeague October MVP. Named the 2012-13 EuroLeague Week-2 MVP. Won the 2008 NJCAA with Arkansas Fort-Smith. Won the 2009 NBDL with Colorado 14ers. Named the 2012 Lithuanian All Star Game MVP. Named to the 2007-08 All-SEC 1st Team.